9.6 +/-AC parcel ready for commercial development. Recently re-zoned to CG (Comm. Gen.) in Unincorporated Rutherford County. 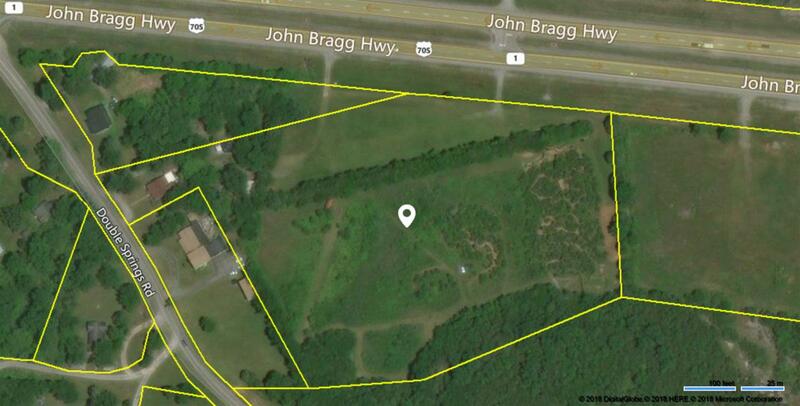 420+/- ft of Frontage on John Bragg Hwy (70S) and 125+/- ft of Frontage on Double Springs Rd. Great for Mini-Storage, Shop/Storage, Restaurant, Retail Center or Mixed Use. Existing approved plan for 40,000 SF Warehouse. Offered by Sims Commercial Realtors & Auctioneers. Copyright 2019 RealTracs, Inc. Information Is Believed To Be Accurate But Not Guaranteed.